Allow access to the Reputation Management for your clients. 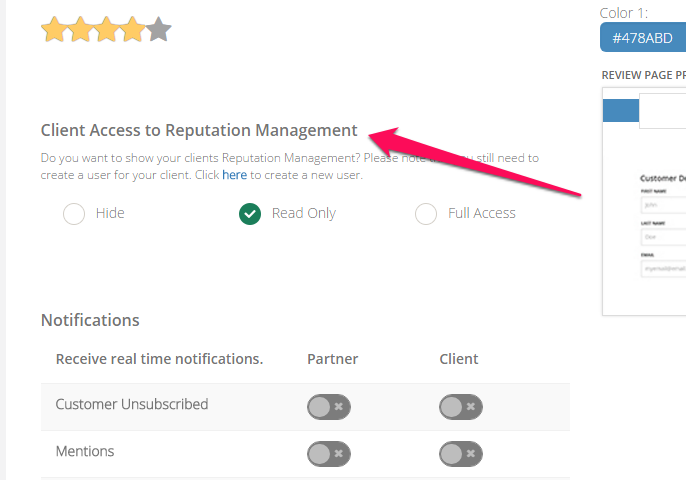 With Reputation Management, you can choose to hide, provide read-only access, or provide full-access to your clients. 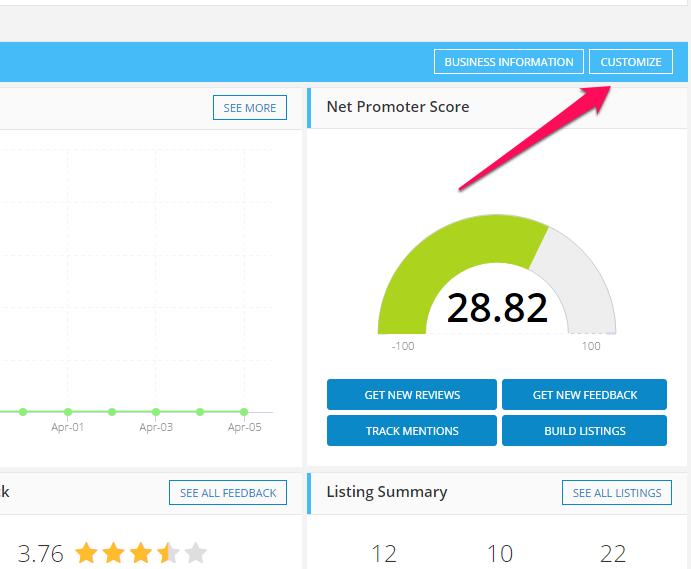 From Reputation Management Overview, click Customize located near the top right portion of the screen. 2. From the Customize screen, navigate to the "Client Access to Reputation Management" section. You can choose to either HIDE or Provide Read-Only or Full access to your clients. 3. Scroll down and Click Save to save your settings. And you're done. Whatever you select will apply to all Client-Level users of the campaign. Make sure you assigned the Campaign to your Client!